The University of Newcastle has appointed Nat McGregor as its new Chief Operating Officer, from 30 May 2013. Mr McGregor was formerly Chief Executive Officer of University of Newcastle Services Ltd since 2010. "Mr McGregor brings a broad range of commercial, financial and governance expertise and capability to the new Chief Operating Officer role," said University of Newcastle Vice-Chancellor Professor Caroline McMillen. "With demonstrated professional skills and a strong capacity to engage effectively with all of our communities – both within the University of Newcastle and in our regions – Mr McGregor will make a great contribution to achieving the University's goals." Mr McGregor began his career in commercial lending and finance with the Commonwealth Bank, followed by a financial planning role with Masterfoods Australia. 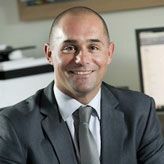 He joined the University of Newcastle in 1999 as the Financial Services and Business Manager for the Faculty of Health. Moving to a university-wide role in the University's Financial Services area in 2003, he led improvements across portfolios that delivered improvements to the procurement process. In 2006, he was promoted to the position of Director, Risk and Commercial Services. As CEO of University of Newcastle Services, Mr McGregor has overseen the integration of the University's on campus accommodation service, moving UON Services into a sustainable financial position and overseeing its transition to a multi-campus service provider.